Look for the big blue W sign in your local business’s window. When you see this sign it means that businesses and organizations in the community are participating in a national tap refilling initiative called blueW. Anyone can fill up their refillable water bottles with municipal, tap water at these premises for free. 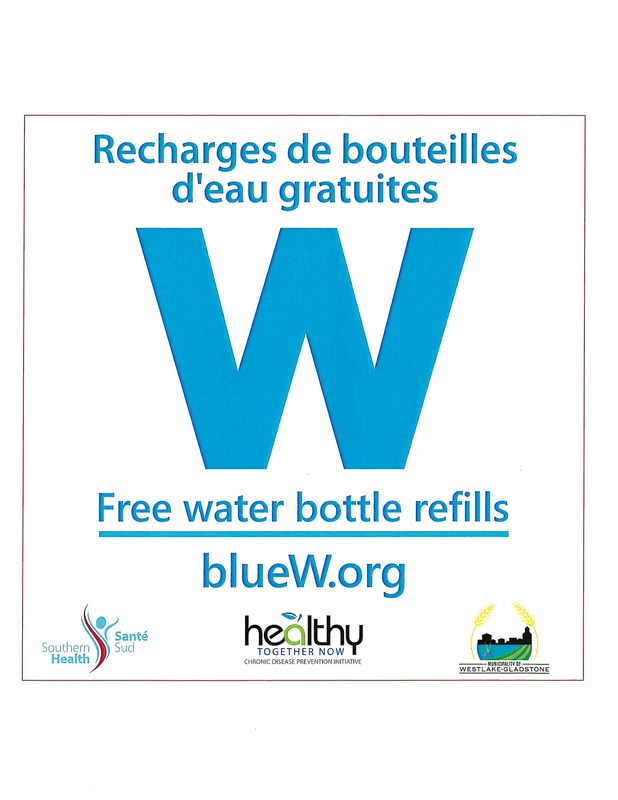 The goal of the blueW program is to encourage more people to drink healthy, safe water and reduce the environmental impact of using disposable plastic water bottles. Make it a habit. Take your refillable water bottle wherever you go and make water your beverage of choice. Go to http://www.bluew.org/on your computer, phone or tablet to find one of more than 26,000 blueW tap water refilling sites close by.